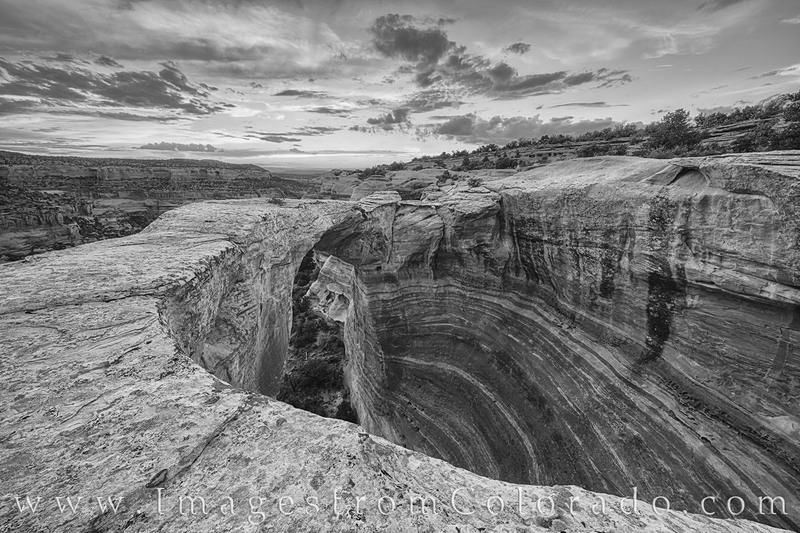 This black and white photograph from Rattlesnake Canyon just west of Grand Junction shows off the curves and textures of the sandstone in this amazing and rugged area. Taken during a beautiful summe sunset, Rattlesnake Arch is the focus of this image and one of the iconic locations views from the canyon rim. Photo © copyright by Rob Greebon.